…Sir, I think you may have an exaggerated idea of the natural-ness of ‘traditional’ or ‘organic’ agriculture. Agriculture has always been unnatural. Our species began to depart from our natural hunter-gatherer lifestyle as recently as 10,000 years ago – too short to measure on the evolutionary timescale. Richard Dawkins’ GMO ideas reflect real science, based on everything we know about genetics, agriculture, and biochemistry. Even though Dawkins letter was written a decade before the anti-GMO forces decided to make it a thing, it is still salient today. Wheat was domesticated around 11,000 years ago (but some forms of wheat may have been domesticated 25,000 years ago). Part of the domestication process was forcing it into tetraploidy (4 sets of chromosomes) or hexaploidy (6 sets of chromosomes). Of course, those ancient farmers didn’t have the knowledge of genetics or ability to manipulate it, so they had to wait and wait and wait for some random mutation to have caused it. Corn was domesticated 7500-10,000 years ago in central America from a plant, still extant in that area, teosintes, which looks like grass. If you walked by a teosintes plant, you would probably not think it was corn. And once again, those farmers in Central American just waited and waited and waited for each mutation that they could select that gave mankind more useful and nutritious corn. Plants like legumes (peanuts, beans and other similar crops) incorporate Rhizobia bacteria in their roots to fix nitrogen from the atmosphere for nutrition for the plant. According to the Endosymbiotic theory of evolution, mitochondria and chloroplasts, important cellular structures for most organisms, were free-living organisms incorporated by other cells. In other words, genetic and cellular modification of organisms have been happening for billions of years. Unless you ascribe to the Naturalistic Fallacy, which states only natural things are “good”, the differences between human modification of the genome and so-called “natural” ones are nonexistent. The large, anonymous crowds in which we now teem began with the agricultural revolution, and without agriculture we could survive in only a tiny fraction of our current numbers. Our high population is an agricultural (and technological and medical) artifact. It is far more unnatural than the population-limiting methods condemned as unnatural by the Pope. Like it or not, we are stuck with agriculture, and agriculture – all agriculture – is unnatural. We sold that pass 10,000 years ago. Does that mean there’s nothing to choose between different kinds of agriculture when it comes to sustainable planetary welfare? Certainly not. Some are much more damaging than others, but it’s no use appealing to ‘nature’, or to ‘instinct’ in order to decide which ones. You have to study the evidence, soberly and reasonably – scientifically. Slashing and burning (incidentally, no agricultural system is closer to being ‘traditional’) destroys our ancient forests. Overgrazing (again, widely practised by ‘traditional’ cultures) causes soil erosion and turns fertile pasture into desert. Moving to our own modern tribe, monoculture, fed by powdered fertilisers and poisons, is bad for the future; indiscriminate use of antibiotics to promote livestock growth is worse. Once again, as mentioned by Dawkins, the Appeal to nature logical fallacy has no meaning. Natural is not better, especially if the “natural” system was lost thousands of years ago. As Dawkins says, maybe some parts of agriculture need to be fixed, but if by fixing we actually mean “let’s go back to the way it was”, that’s a long way back, and it’s going to starve a lot of people just for a belief rather than science. Moreover if, as I expect, the dire prophecies of GM doom fail to materialise, the feeling of let-down may spill over into complacency about real risks. Has it occurred to you that our present GM brouhaha may be a terrible case of crying wolf? And it’s crying wolf, when there is no evidence that the wolf was even here. That’s the worst part. There isn’t even a pretend wolf running around. Not even a picture of a wolf. Even if agriculture could be natural, and even if we could develop some sort of instinctive rapport with the ways of nature, would nature be a good role model? Here, we must think carefully. There really is a sense in which ecosystems are balanced and harmonious, with some of their constituent species becoming mutually dependent. This is one reason the corporate thuggery that is destroying the rainforests is so criminal. On the other hand, we must beware of a very common misunderstanding of Darwinism. Tennyson was writing before Darwin but he got it right. Nature really is red in tooth and claw. Much as we might like to believe otherwise, natural selection, working within each species, does not favour long-term stewardship. It favours short-term gain. Loggers, whalers, and other profiteers who squander the future for present greed, are only doing what all wild creatures have done for three billion years. No wonder T.H. Huxley, Darwin’s bulldog, founded his ethics on a repudiation of Darwinism. Not a repudiation of Darwinism as science, of course, for you cannot repudiate truth. But the very fact that Darwinism is true makes it even more important for us to fight against the naturally selfish and exploitative tendencies of nature. We can do it. Probably no other species of animal or plant can. We can do it because our brains (admittedly given to us by natural selection for reasons of short-term Darwinian gain) are big enough to see into the future and plot long-term consequences. Natural selection is like a robot that can only climb uphill, even if this leaves it stuck on top of a measly hillock. There is no mechanism for going downhill, for crossing the valley to the lower slopes of the high mountain on the other side. There is no natural foresight, no mechanism for warning that present selfish gains are leading to species extinction – and indeed, 99 per cent of all species that have ever lived are extinct. The human brain, probably uniquely in the whole of evolutionary history, can see across the valley and can plot a course away from extinction and towards distant uplands. Long-term planning – and hence the very possibility of stewardship – is something utterly new on the planet, even alien. It exists only in human brains. The future is a new invention in evolution. It is precious. And fragile. We must use all our scientific artifice to protect it. Of course that’s bleak, but there’s no law saying the truth has to be cheerful; no point shooting the messenger – science – and no sense in preferring an alternative world view just because it feels more comfortable. In any case, science isn’t all bleak. Nor, by the way, is science an arrogant know-all. Any scientist worthy of the name will warm to your quotation from Socrates: ‘Wisdom is knowing that you don’t know.’ What else drives us to find out? I know that some of the anti-GMO argument is based on poor evidence published in junk science journals with low impact factor. But a big chunk of the anti-GMO crowd has this belief that somehow the world was better 50, 100, 200 years ago. It wasn’t. I participated in a discussion where people were making a claim that cancers and childhood mortality have somehow increased over the past few decades. But, that’s just not true. The doors have been opened to GMO crops 10,000 years ago. There is no way to go back in time, unless some of you know something that the rest of us don’t. We cannot possibly feed the world without specialized crops that can grow to be pest-restistent, drought-tolerant, or whatever we need. Science isn’t perfect, so there might be errors along the way, but in general, they will be minor mistakes, and the greatest thing about science is that it is completely self-correcting. If we “design” a corn that costs too much, we design a better one. Genetic engineering is a fact of life. 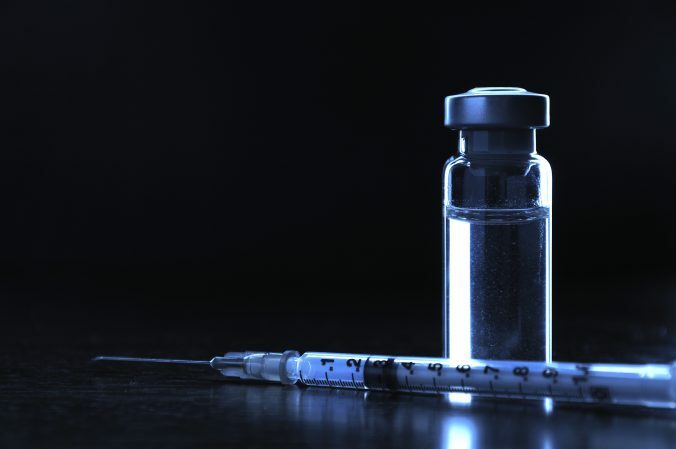 Millions of people are kept alive with genetically engineered insulin, that is the human insulin gene is inserted into bacteria so that factories can produce billions of vials of the important hormone. Without it, a Type 1 diabetic will die painfully and sadly within a few days. Before the 1980’s, insulin was extracted from pig pancreas, because the porcine insulin was close enough. But it didn’t work as well as human insulin. And there were all kinds of allergic reactions. If you want to go back in time to a more natural world, a child with diabetes would die. And that doesn’t seem like a good choice. Now, we might have been able to wait for some “natural” genetic mutation to occur in some bacteria or other organism to mass produce insulin. That may have taken decades, if ever, because bacteria have no use for insulin. The same for plants. Genetic modification allows us to insert genes that speed up mutations, allowing us to have drought and pest resistant wheat or corn or whatever for a growing and hungry world. And unless you have some plausible scientific reason to make anyone think that the genetic modification can somehow directly or indirectly harm anyone or anything, you’ve got nothing to say. If, like Prince Charles, your argument is going to be based on Appeals to Nature or the Naturalistic fallacy or the Nirvana fallacy. Or if your argument is going to use terrible science that wouldn’t meet the standards of a high school science fair by publishing a paper about pigs being less healthy on a GMO diet, but it’s in a horrible journal because no respectable journal would publish such an incredibly bad study–you continue to have no evidence. Or if you’re going to use a strawman by bashing Monsanto 24/7. Well, then we’re not going to improve the world. We’re not going to feed the 10 billion people that will be on the planet in just a few years. Instead, by just yelling out that GMO’S ARE EVIL, with no evidence whatsoever, just makes most of us with a science background shrug our shoulders and proceed. As long as there’s no evidence that GMO’s are dangerous, as long as we need to feed people, we just move ahead. There are discussions that need to be a part of the GMO discourse. Biodiversity is one, but I’m not even convinced as of yet that that is an issue. Agriculture is not about biodiversity, it’s about maximizing the amount of food calories produced per acre. There are more efficient and, frankly, effective ways of protecting biodiversity. But screaming about how bad they are, well, that’s going to lead us nowhere. There is a discussion that needs to be made about genetically modified crops. Richard Dawkins GMO letter said so 13 years ago. Unfortunately, all we get are science deniers who keep saying “GMO’s are bad”, when there is a more nuanced and important discussion to be had. Water is two parts hydrogen and one part oxygen. What if someone says, “Well, that’s not how I choose to think about water”? All we can do is appeal to scientific values. And if he doesn’t share those values, the conversation is over. If someone doesn’t value evidence, what evidence are you going to provide to prove they should value it? If someone doesn’t value logic, what logical argument could you provide to show the importance of logic? It’s so difficult to have a rational discussion with the anti-GMO crowd. They don’t share our values in the importance of science and how to accumulate evidence. One more thing. There’s really no black and white to the GMO discussion. Except that one side keeps saying “it’s only black” leaving little room for those of us who think it’s white with some grey streaks here and there. Maybe someone will listen to Dawkins. Because Prince Charles hasn’t. Note: Link to full text of the letter.